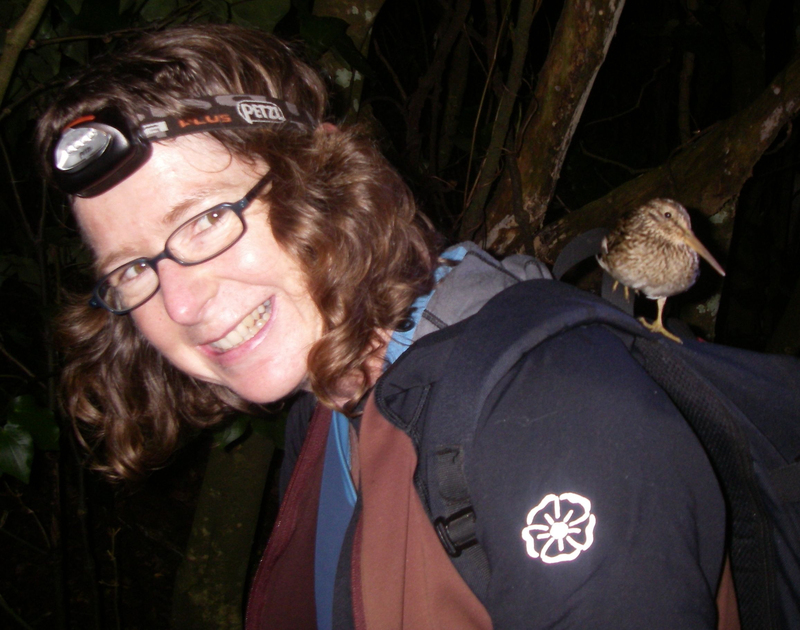 BREAKING NEWS: Not only is Alison our talented blog source from the good ship Braveheart throughout the expedition she has also just been announced as the winner of the 2011 Science Book Prize for ‘Kakapo: Rescued from the Brink of Extinction’. Congratulations Alison! You keep scouting for new species and we’ll have a drink in your honour. Alison Ballance is a natural history and science story-teller and writer. She co-produces and co-presents Radio New Zealand National’s weekly science and environment programme Our Changing World. She has been telling stories on radio for 2 ½ years, and before that spent 18 years with television production company NHNZ making wildlife documentaries for channels such as National Geographic and Discovery Channel. Alison has written 28 natural history books and her most recent book Kakapo – rescued from the brink of extinction has just been short-listed for the 2011 Royal Society of NZ Science Book Prize. In 2008 Alison won the inaugural Bill Manhire Creative Science Writing non-fiction essay competition with an essay on climate change. She has a Masters degree in zoology, and for her research spent four months (in winter!) on sub-antarctic Campbell Island studying feral sheep. I have a real passion for islands and the unique plants and animals that live on them. After spending nearly five months on three different trips on New Zealand’s most southern subantarctic island, Campbell Island (where it averages 6° Celsius year-round, and the wind is usually a gale), I am looking forward to my first visit to our ‘far north’ subtropical islands. I’ll enjoy seeing the marine biologists in action, helping out with the diving, and hopefully seeing the Galapagos sharks and spotted black grouper that the island group’s marine reserve is famous for. I’ll also be recording stories about the research for Our Changing World, and experiencing the birds and plants that make their home on the islands. I’ll be looking for every opportunity to tell stories of what’s happening on-board the Braveheart. I’ll be reporting on daily research activities in the water, on board ship and on dry land, and talking with the scientists about their work and expedition highlights. I’ll bring tales of ship life, diving adventures and the excitement of scientific discovery. My job gives me permission to be curious, and to ask lots of questions. On a typical working day I could be visiting an offshore island with scientists to record a story about their research, or back in the office working at my desk to edit that material into a 12 minute package ready to go into our weekly radio show. I record and edit two stories each week, and they get put together with two other stories from my co-hosts to make up our weekly show, which airs every Thursday night. I’ve recorded stories on all sorts of subjects: retrieving satellite tags from sealions, checking the breeding burrows of New Zealand’s rarest seabird on the Chatham islands, finding out how to run a butterfly house, and discovering how to electrospin skin from hoki to create nanofibres to use in air-conditioning filters. Every week is different and exciting, and I get to learn about all sorts of stuff – brilliant!